Summer is here and that means it’s ice cream time. And while we really like the store-bought kind, there’s nothing that compares with making your own. Because when you make your own, the flavor possibilities are endless. We really like to do bourbon or buttermilk ice creams, but maybe you prefer Swedish fish or grape jelly and peanut butter. Whatever your taste is, you can have it when you make your own. Overwhelmed by the possibilities? Here are 12 flavors to start with. Don’t have an ice cream maker? 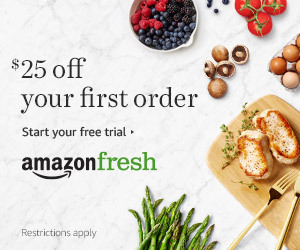 Any of these can also be made in your food processor. This homemade strawberry ice cream has just four ingredients, and that means a wallop of just-picked real strawberry flavor. 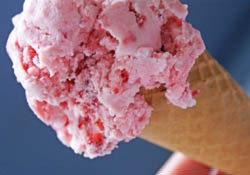 Make homemade strawberry ice cream. This boozy creamy ice cream is for grown-ups only, but that's OK since you won't want to share. 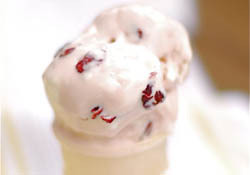 This decadent cherry swirl ice cream has a tangy hint of cream cheese. Make double cherry swirl ice cream. 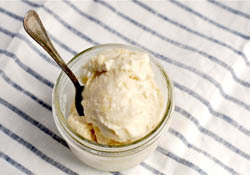 Simply sweet homemade ice cream gets a little flavor edge from smoky, caramelized burnt sugar. 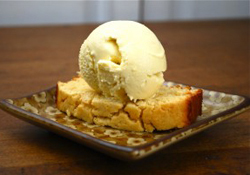 Make burnt sugar ice cream. Cool off with the soothing flavor real chamomile, and the creamy tang of fresh buttermilk! Make chamomile buttermilk ice cream. 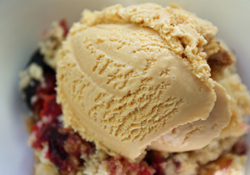 Click here for more Delicious Homemade Ice Cream Recipes.